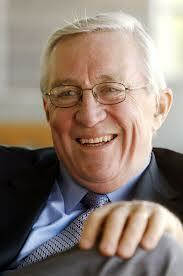 — Clay Mathile, Aileron’s founder and former chairman of Iams Corporation. Entrepreneurs carry a reputation of being self-made, uber-confident and highly capable business people. It takes guts, chutzpah and moxie to create something out of nothing – especially when others can’t see around the corners that you can. As a deep subject matter expert in your field, you are the reigning monarch leading your team into battle with great products, great vision and great expectations. Yet, great entrepreneurs build a network of support to fill in the gaps – you just can’t be great at everything. When you run into challenges that need some brain power to solve – who are you going to call? Maybe Ghostbusters can help, but more than likely you should rely on the wisdom of a well-formed and functioning board of directors or board of advisors. So if you have never created, recruited or managed a board – how do you get started? Aileron offers several courses in board creation and management including sessions for board members to learn how to become most effective. Assuming you can’t fit that into your schedule, you should be begin by putting together a list of attributes of ideal board members. Diversity on a board is great – familiarity on a board is not so great. You want to have different perspectives from industry and functional areas to add value to your interactions. Talent that represents finance, marketing, sales, your specific vertical, organizational (people) expertise can be extremely helpful. Recruiting your accountant, attorney and your Uncle Joe may not give you the answers you need to tough questions.